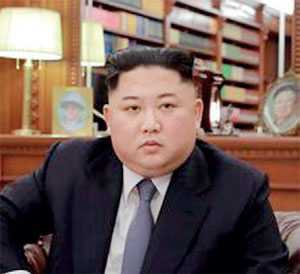 Seoul (Reuters): North Korean leader Kim Jong Un said on Tuesday he is ready to meet US President Donald Trump again anytime to achieve their common goal of denuclearising the Korean Peninsula, but warned he may have to take an alternative path if US sanctions and pressure against the country continued. “I am always ready to sit together with the US president anytime in the future, and will work hard to produce results welcomed by the international community without fail,” Kim said. It was not clear what Kim meant by “a new path,” but his comments are likely to further fuel skepticism over whether North Korea intends to give up a nuclear weapons program that it has long considered essential to its security.